This is a quick & simple FAQ in layman terms on “Rudram” – a special prayer that is chanted to Lord Rudra (Shiva) – a Vedic God. 1. What is Rudram ? Śrī Rudram, also known as Śrī Rudrapraśnaḥ, is a hymn offered to the all pervading Brahman, designated as Rudra-Śiva, present in auspicious, benign forms as well as terrible forms which He assumes at the time of the dissolution and the destruction of the cosmos. It occurs in the Taittirīya Saṁhitā of the Kṛṣṇa Yajurveda in the 4th kāṇda (chapter), 5th praśna (topic) and it is considered as one of 108 Upaniṣads. It is also known as Namakam because of the repeated word namaḥ in it. Śrī Rudram is divided into 11 anuvākas (passages) and consists of 37 ṛks (verses) in various Vedic chandas (meters) in anuvāka 1, 10 and 11. Anuvākas 2 to 9 and the last line of anuvāka 11 consist of 130 yajus (sacrificial formulas). 2. Who is Rudra ? Rudra is a mythological god of the Vedic period. He finds mention in the Rig Veda but there is a detailed section in praise of Rudra in the Yajur Veda. Rudra has two forms, ghora or terrible form and śiva or auspicious form. Hence Rudra is one side and Śiva the other side of the same coin. They are not two, but one. The Brāhmaṇa text which interprets the Rudram states: “Rudra is verily this fire. He has two forms; one terrible, the other auspicious. If a man does sacrifice to Him by chanting the Rudram, that man pacifies the terrible form”. 3. What is the significance of Sri Rudram ? The purpose of this magnificent hymn is to set aside once and for all, the extra-cosmic notion of God that people sometimes entertain in their religious fervour, and to instil into the minds of people the greater, profounder knowledge of the fact that God is not merely the creative extra-cosmic Parent of the Universe, but He is also immanent in every particle, in every speck of space, in every unit of time, in every nook and corner, in every particle of creation. A very intriguing aspect of God present in this wondrous hymn is that God is existing in both the aspects; the good and the bad, the beautiful and the ugly, the right and the wrong, the positive and the negative, the high and the low, the conceivable and the inconceivable, mortality and immortality, existence and non-existence. It is considered as the only hymn of its kind in the religious literature of the entire world which focuses on the idea of God, not only associated with the ideas of pleasant and good, but also with the idea of dreadful and destructive; that the God permeates everything in manifestation, including aspects deemed not ethical by the purists and fault-finders. 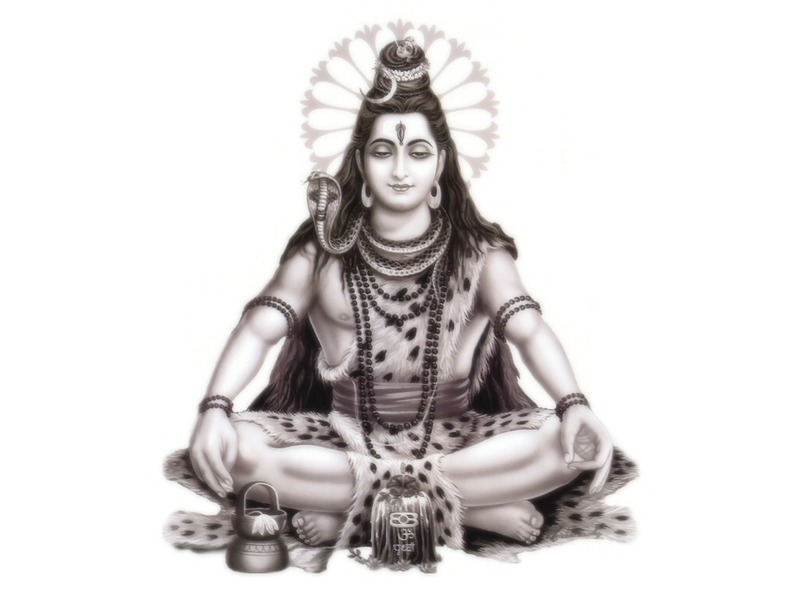 Śiva Purāṇa further explains: “By chanting Rudram, one gains both worldly pleasures and liberation.” The Jābāla Upaniṣad5 states: “Once the students of sacred knowledge asked sage Yājñavalkya: Can we gain eternal life by repetition of mantras? Yājñavalkya said: By the repetition of śatarudrīya6 a man becomes immortal, for the names of God therein are nectarine.” Kaivalya Upaniṣad7 also declares: “Whoever reads śatarudrīya becomes pure as fire, becomes pure as air”. 6. How much time does it take to Chant the Rudram ? And why are there 11 priests involved in the chanting? The typical time to chant the Sri Rudram (both Namakam and Chamakam) is about 40 mins. Rudram is the most sacred means of worshipping Lord Siva. Sage Satapatha in his treatise “Maharnava Karma Vipaka” listed 4 types of procedures to propitiate Lord Siva. Ekadasa Rudram, Maha Rudram and Athi Rudram; each has greater significance than its preceding one. ‘Athi’ means “ultimate”. Therefore, Athirudram is the highest form of worship of Lord Shiva. Athirudram is a destroyer of all sorrows and the provider of ‘Kshema’. The Sri Rudram has 11 anuvakas of Namakam and 11 anuvakas of Chamakam. After Each chanting of One round of Rudram one Anuvaka Each of Chamakam is chanted. Eleven recitations of Rudram followed by one recitation of Chamakam is called Ekadasa Rudram. This constitutes one unit of Rudra Homam. Eleven rounds of Ekadasa Rudram makes one Laghu Rudram. Eleven Laghu Rudra chartings make one Maharudram and eleven Maharudram recitations is the Athirudram. In a “AtiRudram yagna” Everyday One Maharudram is completed and in eleven days an Athirudra Mahayagnam is completed. Thus in the Athirudra Mahayagnam, the Srirudram hymn is chanted in all 14,641 times by 121 Ritwiks in 11 days with the performance of 1331 rudra Homams simultaneously. The number 11 has a big significance in propitiating Lord Siva. The 11 priests are involved/required in the chanting to meet the specific number of recitations prescribed by the procedures. Man, according to Vedantha and Yoga philosophies, is charged with a spark of the universal soul. Therefore, such functions are conducted to worship the atman residing in him so that he can unite with it ultimately. This uniting with the “Atman” is the sole purpose of human life and confers on the devotee the highest boon of immortality, i.e. liberation from the cycle of birth and death. Lord Shiva who is easy to please is also the embodiment of time and Rudram is chanted as an expression of gratitude for the long life granted and also to seek the ultimate boon of immortality. 8. What is the benefit of listening to Rudram Chamakam? A devout listener and seeker of Rudram Chamakam is blessed with both worldly and spiritual benefits such as good health, peace of mind and pure joy. Slowly and steadily it draws the listener to spirituality in the quest of the truth behind human existence. A simple and nice explanation ! people should study such articles before the function.this willl help to understand, appreciate and ensure fiath in sasthras and our Rishis.Namskaram. Thanks for details. It gave an idea of “Sri Rudram”. In quest of knowing more. reaaly good , where on earth you got this information ??? Thanks for an amazingly insightful description! I learnt about Sri Rudram just 2 days back and I’m mesmerized by its beauty! It keeps playing in my mind as a background score throughout the day! Simple and nice explanation. Thanks for the effort. So beautifully said. Thanks a lot.. Wonderful explanation. This greatly helps for people like me who are in quest of spirituality. I used to be a non-believer not too long ago. But my quest for knowing more lead me to spirituality and ultimately Rudram. I am still reciting it with an audio and reading from a print out. I recite once a day (Namakam and Camakam) and somedays I also listen in the car. As someone above said… certain verses/phrases keep playing in my mind all day long…during meetings, during conversations, during quiet moments….it is a good feeling. And my life has taken a very positive turn recently. Thanks to your article and wish all the readers happiness. thank you so much for a simple but great explanation & insight – I happen to land on this page when i searched for more information on shri rudram. I am recently getting attracted towards knowing more about our vedas & mantras…I am making a start very soon with learning of Shri Rudram. Thanks once again! Thank you for this beautiful explanation. But However my husband says that I should not listen to Rudram or any part of Veda. I am just listening to Rudram not saying it. Is it ok for a female to listen to it??? Kindly answer my question. Sir i would like to know weather we can chant Rudram in funeral. Thank You . Thank you for all the effort you took to research and publish this information. Braahmanyam (ब्राह्मण्यं) is in mind, spiritual evolution and in one’s attitude and approach. Yet why still Rudram and similar Vedic chants are restricted to a few who have become Brahmana-s by mere birth? Today Varna Ashrama dharma has no relevance in the society as knowledge is open to all. There are Brahmins who have, by acquiring more and more Rajoguna and Tamoguna, stooped to the level of worst Sudra-s and also there are Sudra-s who have raised themselves in Satvaguna, by proper study and learning. So… is it proper to still hold that only those who wear a cross-belt (यज्ञोपवीतं) can chant Vedic Mantra-s? May I now your views on this Sir? My view is Simple – your caste is defined by your knowledge and the work you do – not by birth. That is the way it was in the Vedic days. Over the years it has become a right by birth giving rise to the notorious caste system. Which mantra should be chanted in rudram for very good health. Could you elaborate on the significance of the number 11, in this? Thank you. Hi , this page is very nice. Thanks for giving some details. I would like to know “how to practice chanting rudram”. Can u give an advice to me plz…..
Do you know about the difference in the Krishna and Shukla systems of chanting the Rudra? I was soundly scolded for this by a priest at Badrinath. The version I have seems to have lesser verses than the North Indian version… confused. Excellent app for learning Sri Rudram, you can try the below app but at least once you practice or take help from any guru.